Since 1987, Rug Rats has been providing custom rugs and fine carpets to customers nationwide, allowing us to emerge as one of the most widely known household names in the custom rug industry. Rug Rats Fine Carpets and Rugs specializes in creating custom area rugs and logo rugs, offering a wide variety of mid to high end carpets, affordable for architects, designers, and home and business owners. We pride ourselves in catering to our customer’s unique carpeting needs well as offering ideas and concepts they may not have considered. Rug Rats has a showroom featuring hundreds of rugs and carpets from all the major mills and design houses. We help our customers find the unusual and unique rugs for homes, businesses, churches, schools, branches of the military, and sports teams. Our friendly, small town customer service oriented approach to doing business can be experienced in-shop or remotely online. Stair Runners, Sisal and Seagrass, Woven Wiltons, Axminsters, stair rods, tapestry borders, and logo rugs are some of our specialties. Want a custom rug to match your fabric, wallpaper, paint or other surroundings? You may have a particular color in mind. Do you want a piece of furniture, art, or textiles to be complimented in your custom rug? We are happy to accommodate YOUR personal requests. We will send you samples to choose from absolutely FREE! Locally owned and operated since 1959,we are focused on customer service and providing you with a great experience from the time you walk into our store to the time your flooring is installed by our professional mechanics.Come see why we have been a local favorite since 1959. 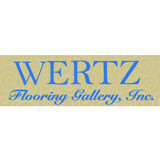 Wertz Flooring Gallery is family owned and operated since 1979. 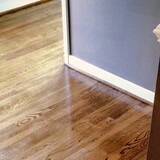 We are Richmond's only HGTV Home Flooring Gallery. Welcome to ProSource® of Richmond! Our wholesale showroom focuses on helping trade professionals and their homeowner clients with home remodeling projects. We feature flooring, bathroom, and kitchen products, to name a few, from top brands at wholesale prices. For trade pros and homeowners in the Richmond area, we welcome you to visit ProSource of Richmond today. Our team can help you find the products you need that also fit into your budget. Trade Pros: Learn about the benefits of membership Homeowners: Experience the difference of working with ProSource Who is ProSource of Richmond? ProSource of Richmond is a wholesale showroom designed for trade professionals and homeowner clients to find home remodeling products. At ProSource of Richmond, we are committed to helping you from the beginning of the home improvement project to the end. Our friendly team can recommend products that will turn your project’s plan into an affordable reality. For trade professionals in the area, you can count on ProSource of Richmond as your resource for home remodeling projects. Not only do we feature a vast selection of home remodeling projects, but we also work with you to find the best products and deals for your clients. What We Offer If you browse our online catalog, you will see for yourself just how many home remodeling products we feature. If you are looking for wholesale flooring, we have wholesale carpeting, hardwood, laminate, tile, and carpet tile product options available. For kitchen remodel, we have the cabinet, cabinet hardware, countertop, faucet, and sink products you need for a total transformation. 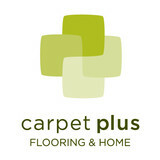 Floors are the foundation of your home, so at Carpet Plus we take them seriously. We make sure you find the perfect solution to your floorcovering needs. Classic Wood Flooring Designs is designed to match any decor, from sophisticated contemporary to distinctive, hand-scraped rustic. Featuring a wide selection of flooring options, we'll help you find the perfect floor to beautify your home. When you choose Classic Wood Flooring Designs, we'll simplify the entire flooring process through exceptional service, attention to detail, affordable prices and clear communication guaranteed. Trout River Lumber L.L.C. is a SPIB Mill located in Central Virginia in Nottoway County. We are producers of pattern stock in Southern Pine, New Heart and Longleaf Heart pine utilizing properly dried and conditioned materials. TRL is a leader in the Pre-Finished Flooring industry, and not only produces The Virginia Plantation Collection, but is a primary producer for several leading flooring manufacturers. TRL also produces a full line of products for the Treated industry and Industrial market. We are pleased to offer custom milling, resawing, end-matching, ripping, cut to length and packaging services. TRL is strategically located with access to major interstates and is spurred to the main line of Norfolk Southern Railroad in Crewe, Virginia. This position enables us to service our local and national wholesale customer base in a timely and cost effective manner. We distribute our products through wholesale lumber distributors and flooring distributors nationwide. Please contact us for a list of distributors in your area. On the Spot, Inc. has been providing the highest quality of carpet, upholstery, area rug and other floor cleaning services for residential and commercial properties throughout Richmond since 1991. In addition, we have been selling and installing new flooring and have the knowledge and experience needed to help customers select the right products for their lifestyle and budget. We are one of Charlottesville's Leading Floor Installation Experts providing a comprehensive array of fine quality work and reliable services to our clients. Looking into new flooring projects and don't know where to go? I am here to help! It is my job to help make your project fun, easier, and hassle free. L&M offers a variety of flooring options that include Carpet, Hardwood, Tile (Floors, walls, back splashes), LVT/LVP (Luxury VInyl Tile and Plank), Bamboo, Cork, Sheet Vinyl, as well as commercial and acoustical ceilings. I will walk with your in your current project step by step. From a design consultation, to measuring from our previous installer, to going over pricing one on one, and helping you get everything scheduled in a prompt manner. 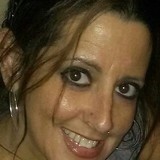 Contact me today so we can assist you with your projects, questions and anything else you may have. We will work diligently to help your ideas, dreams, and vision become a reality. L&M Carpet One is your one-stop-shop for all of your flooring needs. After serving the Greater Richmond Area for over 45 years and completing more than 150,000 installations, L&M Carpet One Family continues to show that we love what we do through our commitment to helping you make your project come to life! Whether for your home or your business, our sales consultants will ask you the right questions and listen to your needs to ensure that you find the right products for your particular project and budget. In fact, beating the big box home centers on price and service is what we do best! Our goal is to help provide the best shopping experience possible. Established in 1990, custom inlaid designs and custom rugs of all types. Internet based. Our mission at Green Front Furniture is simple: to provide customers with the largest selection of items from around the world, at highly competitive prices, design and quality. We also strive to provide knowledgeable and courteous personnel to assist with your selection; to deliver your selections carefully and promptly; and, if there ever happens to be issues with your purchase, to resolve them satisfactorily and quickly (to the extent we are responsible or capable). Are you ready to start your home remodeling project? Then trust the name your friends and neighbors have been coming to for the last 10 years. Put your trust in the professional team at Carpet Cuts. Whether you're looking for laminate, linoleum, or VCT flooring, we have a style option that will go perfectly in any room and is certain to fit within any budget. At Carpet Cuts, we are proud to bring you the highest quality carpeting from the top brands in the business, such as Shaw and Mohawk. All of our carpeting options come with financing options and professional installation, all at a price that is sure to work within any budget. Carpeting is subject to a significant amount of wear and tear, so it’s crucial to make sure a new carpet installation is done correctly, or that an existing rug is maintained properly. Enter Chesterfield carpet dealers. From carpet repair to custom carpet design, these professionals specialize in anything and everything that is carpeting, and can help ensure that your Chesterfield, VA home’s new rug starts off — and stays! — in great shape. Carpet dealers in Chesterfield, VA help homeowners choose the correct carpet covering for their floors, and also assist with carpet maintenance. This includes determining factors like material, carpet pile, durability, color and size, as well as helping with any custom carpet design. After completing the initial installation (which includes removal of the old flooring, if applicable, and surface prep), they may also handle follow-up maintenance requests such as carpet cleaning, carpet repair and carpet stretching. Find a carpet dealer on Houzz. Narrow your search in the Professionals section of the website to carpet dealers in Chesterfield, VA, and read reviews and ratings for pros in your area.